Say hello to our new little friends! The original idea that spawned these sweet little devils was to equip our riders for cruising outside their main element – water – on something built by Mofour wakeboards. As you might know there’s a thing called product Quality Control (QC) for all the manufactured products, basically all around the world. It is common sense to offer the customers only Class A products no matter the market – why would you underestimate the shredders only for living in a different geo-location? So what does all that have to do with Mofour longboards? As said, we only launch Class A wakeboards onto the global market but there are some sticks that don’t quite cut it and this is where our longboards are coming from. It would be really irresponsible and not quite ECO-conscious to just chuck away those wakeboards wouldn’t it? But don’t get us wrong, these longboards are still great products, we took them through a successful test phase and that was the exact moment where we thought, hey we bet our awesome costumers would love to cruise around on a longboard that’s matching their wakeboard! That is when we decided to give a longboard with every wakeboard purchase in Mofour Wakeboards Online Shop, for free. If you decide and buy any of the Mofour Wakeboards you get a free matching longboard plus free delivery for orders inside the EU. 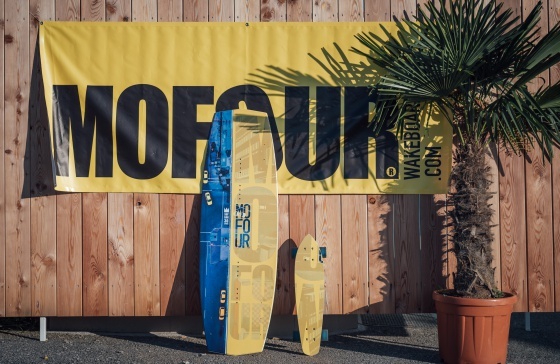 Another cool thing, if you want us to cut you a custom shape longboard – we got you covered – simply send us your proposal (buy@mofourwakeboards.com) and we will make it happen for you. 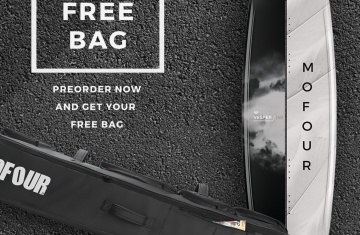 Just a little heads-up in case you decide to buy a wakeboard via our online shop – you will not see a longboard there at any step of the purchase, but don’t you worry, you will get it shipped along with your wakeboard either way. Trucks and wheels are not included.